After years of chronic underfunding, the Harper government leveled $115 million budget cut at the CBC in 2012. Now the CBC faces a new fiscal crisis—one that signals the end of public broadcasting as we know it in Canada. As “the mother corp” faces the potential loss of broadcast rights for Hockey Night in Canada, veteran broadcaster and media strategist Wade Rowland argues we have less than two years to find a way to save CBC/Radio-Canada: the cornerstone of Canadian culture and an institution many regard as the glue that holds the country together. It has become clear that if Canada is to retain a public broadcaster worthy of the name, the CBC will have to be radically reformed, and soon. 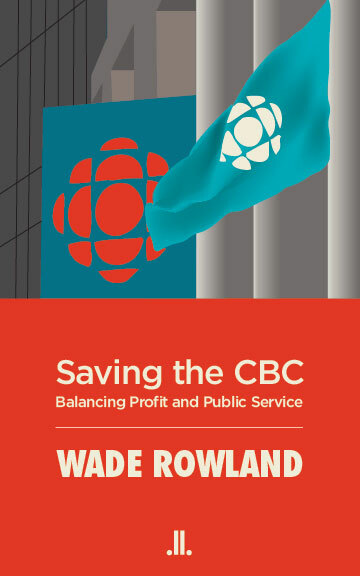 Listen to Wade Rowland being interviewed on CBC’s As It Happens on May 29, 2013 about the CRTC decision on the CBC Licence Renewal which allows advertising on CBC Radio One.